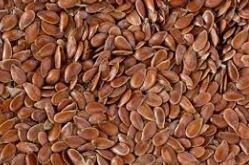 Flax seeds are very nutritious -- lots of fiber and healthy fat, and very low in carbohydrates. And they are tasty, with a delicate nutty flavor. Add flax to your yogurt, smoothies, cereal, salads and muffins.